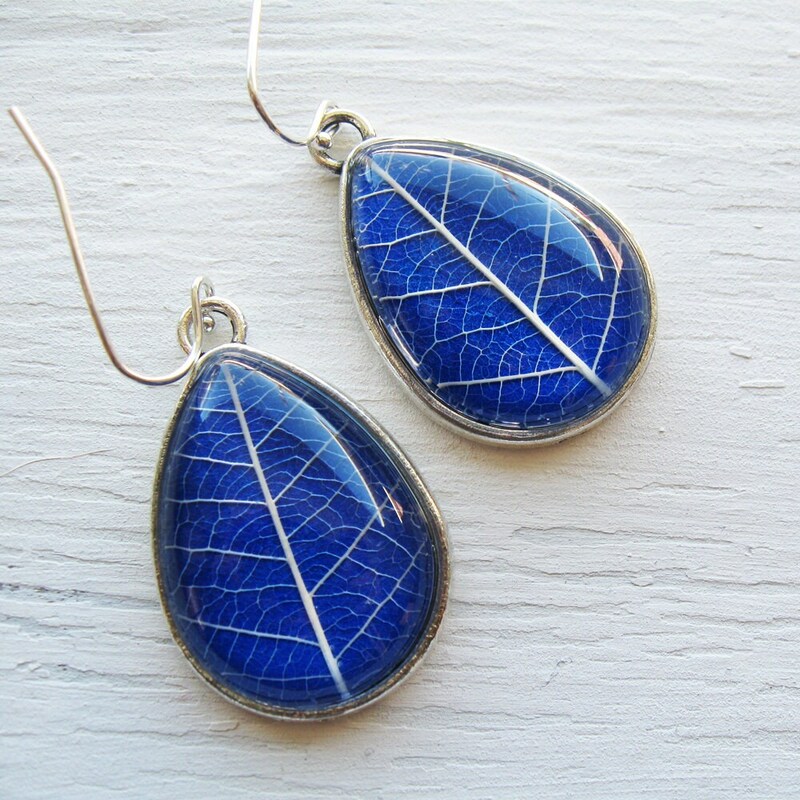 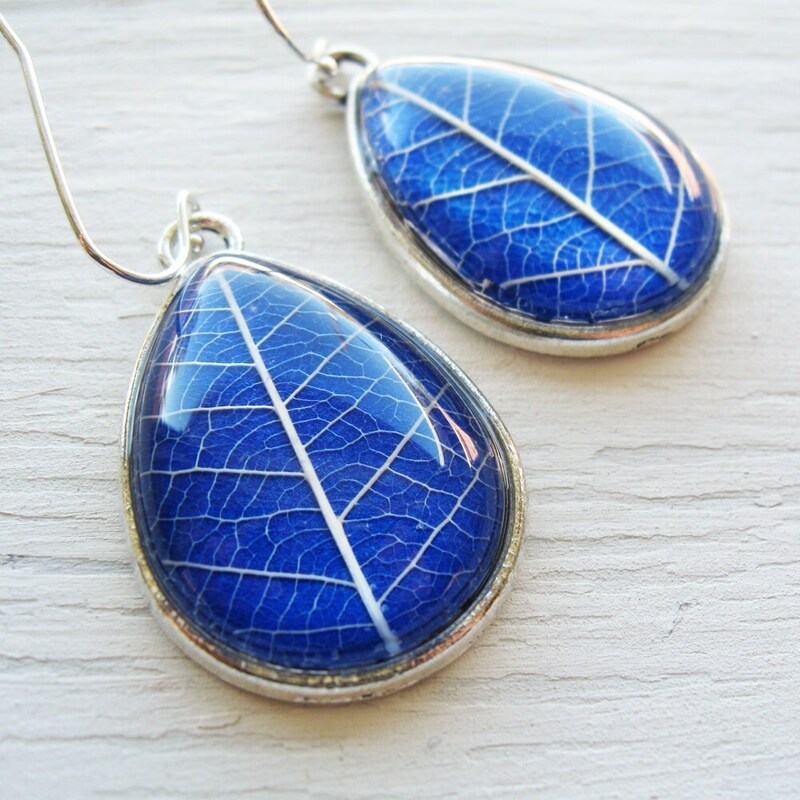 Real Botanical Earrings - Cobalt Blue and Silver Teardrop Pressed Leaf Earrings. 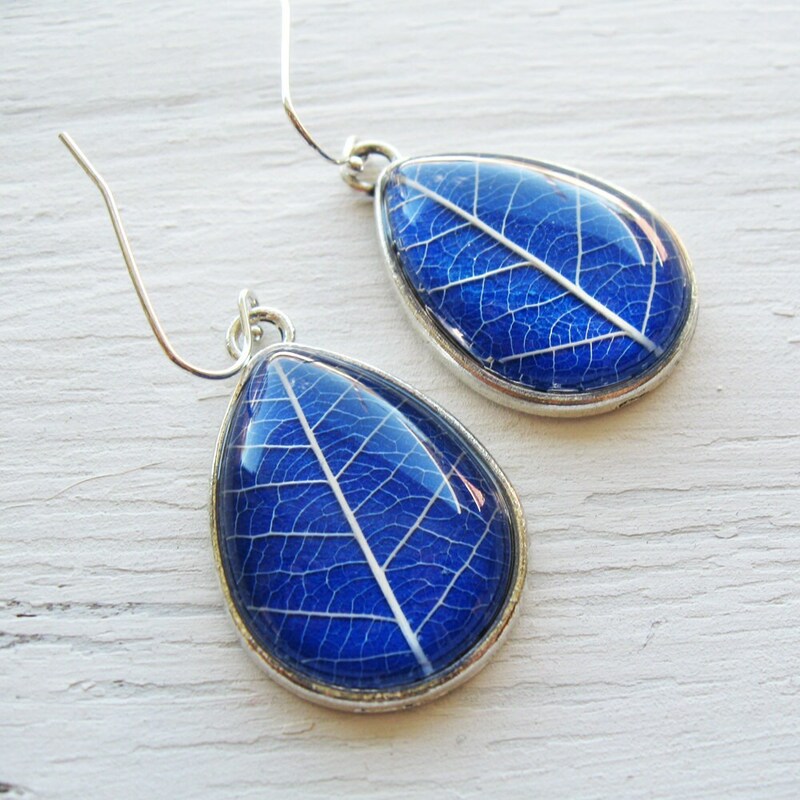 Made from real pressed leaves and set in silver and glass. 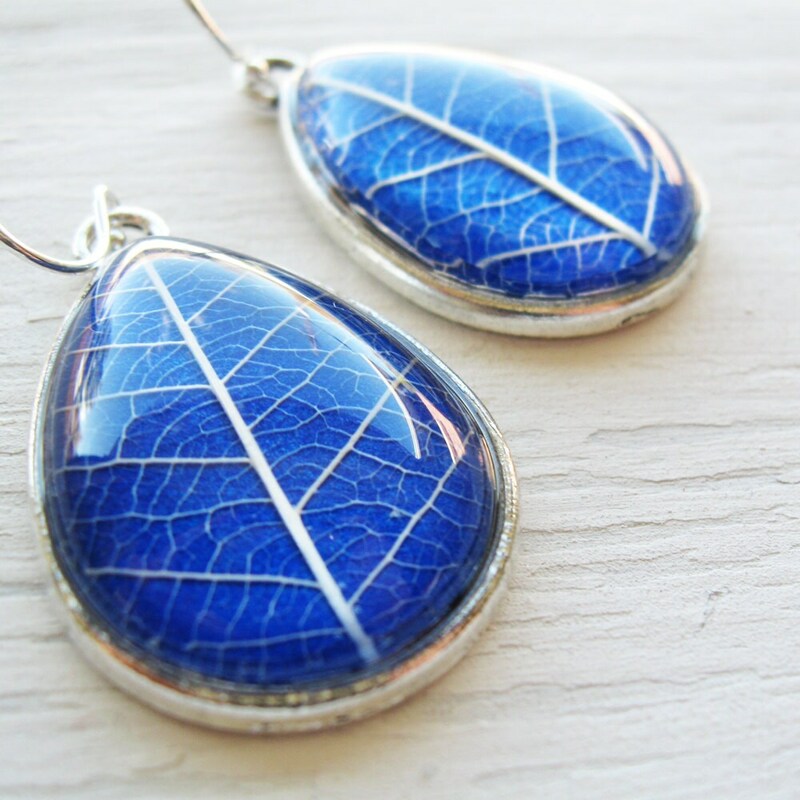 UV coating to protect color. 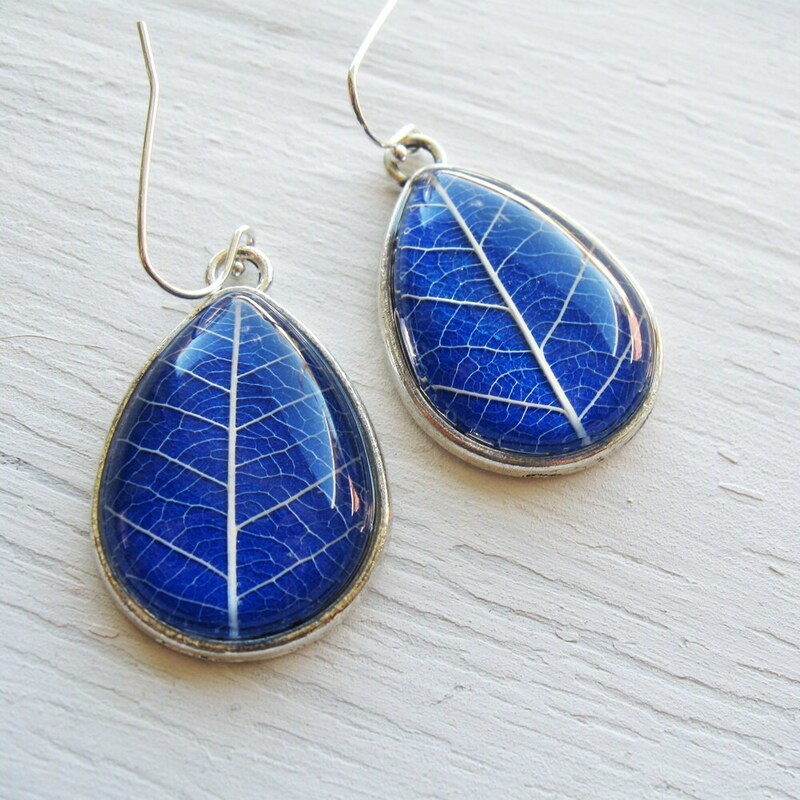 18x25mm on silver plated earwires.